Discovering Galapagos is also available in Spanish! Discover more about conservation projects in Galapagos! Click here to watch an animation to introduce you to Galapagos! Discover Galapagos at ZSL London Zoo! The Galapagos Islands are an isolated group of volcanic islands, situated 1,000km from the coast of Ecuador. They contain a wealth of lessons for the world. Meet the unique wildlife that has inspired scientists to form theories that have changed our understanding about life on Earth. Travel through the fascinating history from volcanic origins to human settlement. Learn about the challenges that we face in ensuring a sustainable future for these unique islands and find out about ground-breaking conservation projects happening now. 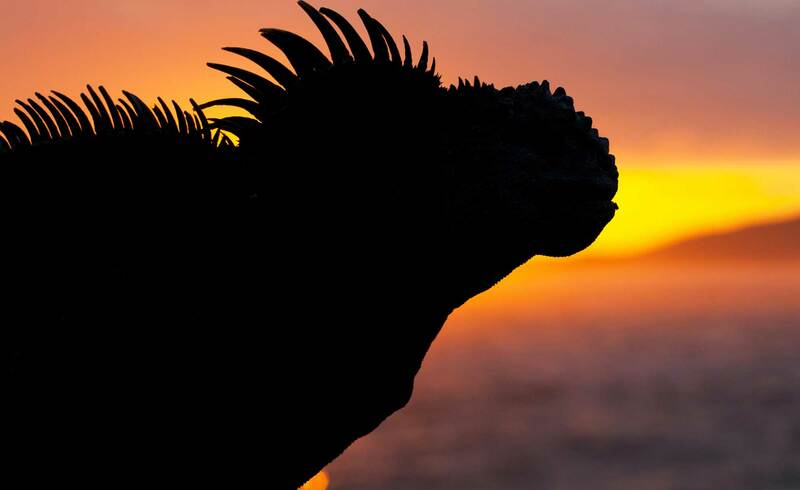 Begin your journey… Discovering Galapagos. This website is designed to support your studies, particularly in geography and science using interesting examples and case studies from Galapagos. As well as learning more about the Islands via the ‘Discover’ menu on the top bar, be sure to check out the interactive quizzes and games in the ‘Interactive Galapagos’ section to complement your discovery. Get involved further by exploring our ‘Connect’ zone where you can share your work and ideas as well as asking real scientists questions about life in conservation. We believe that today’s school students are tomorrow’s conservation ambassadors and the future stewards of our planet. By deepening their understanding of the natural world and the conservation challenges that we face in the future, we hope to inspire and engage students in the sustainable development of Galapagos and the wider world. We are aiming to give teachers access to current conservation projects in Galapagos providing a new way for classes to engage with environmental issues. Each chapter of Discovering Galapagos has suggested teaching activities that you can reach via the ‘Teacher Zone’ menu in the main navigation bar or via the ‘For Teachers’ side bar. These are coded with curriculum link icons to make it as easy as possible for busy primary and secondary school teachers to use. Discovering Galapagos can be used for one off lessons or as an entire term of cross-curricular activities for Key Stage 2 & 3. The website may be used linearly, working through chapters one by one or can be self-guided, empowering students to guide their own discovery. 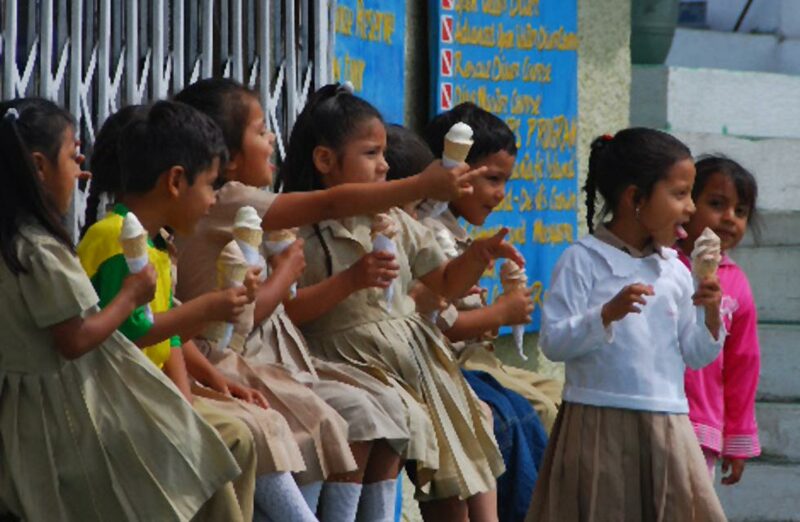 We also offer a tangible, interactive connection with schools in Galapagos and Ecuador via our ‘Connect’ menu where you can share your classwork, join in with competitions, get in touch with Ecuadorian schools or take part in Q&As with scientists. Although especially adapted for an academic audience, the Discovering Galapagos website has been designed in a way that should be interesting and informative for those with an interest in Galapagos, conservation projects and the issues the Islands face. Feel free to explore the website and let us know what you think! The Galapagos Islands are located on the equator. Found in the Pacific Ocean, they lie around 1,000 kilometres west of the coast of South America. The Islands are part of the country of Ecuador, and the Ecuadorian mainland is their nearest neighbour. There are 13 main islands, six smaller islands and over 100 islets (mini islands) that make up the Galapagos Islands. This group of islands and islets is known as an archipelago and was formed by underwater volcanic activity. 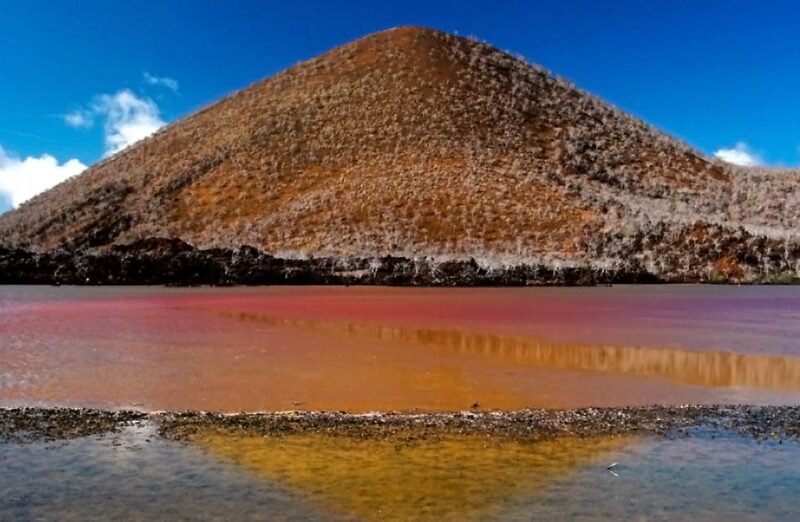 The Galapagos archipelago still has 13 active volcanoes. Covering 7,880 km2, the Galapagos Islands have a total land area around five times the size of Greater London. Isabela, the largest island, has an area of 5,727 km2 and makes up almost ¾ of the total Galapagos land area. In this video, Irenia speaks about the importance of Galapagos for the world. Please click on the cc button for subtitles! The Islands are made of cooled volcanic lava and appear very rugged as a result. However, they do have a wide range of terrestrial (land) and marine (sea) habitats. As well as rocky lava flows, the islands are also the location for humid forest, sandy beaches, sea cliffs, rocky shores and coral reefs. The range of habitats means that a great variety of animals and plants can be found on and around the Galapagos. These include the famous Galapagos giant tortoises, the world’s only marine iguanas, Galapagos penguins, great schools of hammerhead sharks and unique plants including prickly pear cacti and daisy trees. Some species found on the islands do not exist anywhere else in the world. These plants and animals are known as endemic. The Galapagos Islands aren’t just inhabited by animals and plants. Around 30,000 people live across five of the main islands. The islands also receive a large number of visitors, with almost 200,000 tourists visiting each year. The large number of tourists puts pressure on the Galapagos and careful planning is needed to prevent damage to the animals, habitats and people that live there. One of the islands most famous visitors highlighted the importance of its animals and habitats. English scientist Charles Darwin visited in 1835 and his famous theory of evolution by natural selection was informed by his studies of the wildlife on the islands. Today, 97% of the Galapagos Islands are designated as a national park and 133,000 km of protected ocean makes up one of the largest marine reserves in the world. Both of these protected areas are World Heritage Sites, emphasising the significance of Galapagos for the world.